David qualified at Stellenbosch University, South Africa in 1980. After working as a dentist in the South African Defence Force for a compulsory 2 year period as part of National Service he was appointed as a senior dentist for the Department of Health where he continued to work for a further 3 years gaining experience in orthodontic treatment and oral surgery. In 1985 he started his own very successful private practice. In 1999 he decided to emigrate to the United Kingdom where after a short spell in North London he joined the Broadway Dental Practice in 2000. David has special interest in Implantology (Straumann,NobelBiocare and Ankylos Implants), Orthodontic and Cosmetic treatment (Cosmetic Braces and Aligner treatment) and in 2006 completed a year course in Implantology in Manchester. Recently he has branched into the field of Dental Sleep Medicine and provides AntiSnoring appliances (Sleepwell) by Solutions for Snoring (S4S). He is also Invisalign, Smilelign, Six Month Smiles (6MSmiles) and Quick Straight Teeth (QST) certified. 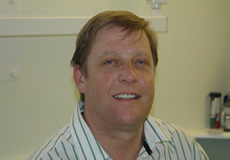 He is currently a member of the British Dental Association (BDA) and the Association of Dental Implantology UK (ADI). David resides in Crowborough with his wife Carol and children. Chloe qualified as a Dental Hygienist after training at the Eastman Dental Hospital in London in 2015. 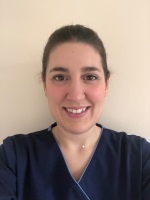 Prior to this she has worked within the dental profession since 2007 and in fact worked as a registered dental nurse at the Broadway before starting her training at Eastman in London. She is passionate about her role as hygienist and as part of the whole dental team. Her caring and friendly approach puts even nervous patients at ease. Chloe attends regular courses and reads the latest dental literature as part of continuing professional development and in that way stays up to date with the latest products and treatments available. Claire qualified from Kings College London in 2008 with a Diploma in dental hygiene and therapy and joined the team at The Broadway in 2017. She has a passion for preventative dentistry and is dedicated to improving her patient's oral health in a gentle yet thorough approach. As a therapist she can carry out a range of procedures such as simple fillings, x-rays and restorations on children's teeth. She keeps up-to-date with the most recent treatments, procedures and products by attending courses and reading the latest literature. Outside of work she has a young family, which keeps her busy. She enjoys spending time with friends and family in her free time.